Tenx9, November 28, 2018. 'Belfast' in Belfast. 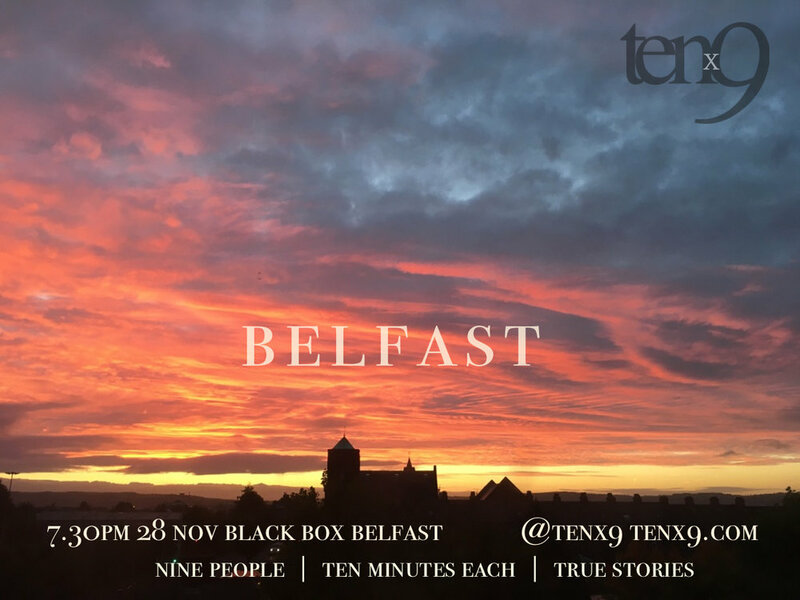 Our theme for our November 28, 2018 Tenx9 is “Belfast”. Yup, the theme is the location. We’ll meet (as usual) in the Black Box at 7.30pm, and hear nine true stories about our fair city. Stories of how you arrived here; how you left, or tried to leave; something that happened to you here last week; something that happened to you here last century; a story from moving here; a story from loving or loathing here. As always, Tenx9 is an event where we wish to hear one true story from your own life. If you’re interested in telling a story, head on over to our editorial guidelines and read those (seriously, read those! - they will give you great insight into our style of stories) and then send your submission to us via our submissions form. Tenx9 Belfast October 17, 2018 "Care"